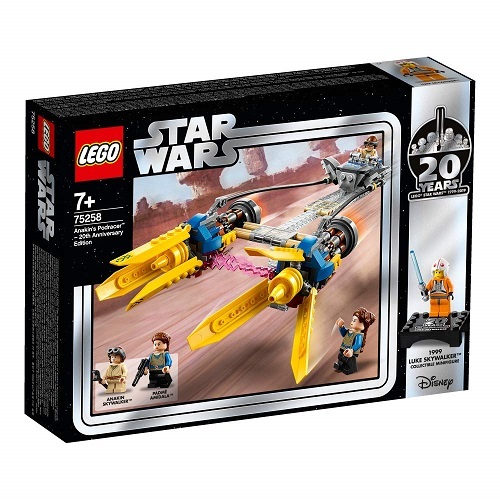 Build and collect a special LEGO® Star Wars™ 20th anniversary edition of young Anakin Skywalker’s amazing Podracer! Celebrate 20 years of LEGO® Star Wars™ sets with 75258 Anakin’s Podracer. This reinterpretation of the original 7131 model released in 1999 features big engines, extending flaps, space to fit the young Anakin minifigure in the cockpit and a play handle that let kids play out endless Star Wars: The Phantom Menace races around the living room. 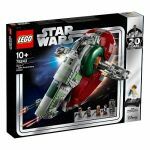 This cool building toy also includes a Padmé Amidala minifigure plus a bonus Luke Skywalker minifigure and display stand with 20th anniversary logo to celebrate this milestone in LEGO Star Wars history. 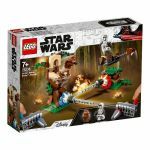 Includes 3 LEGO® Star Wars™ minifigures: Anakin Skywalker, Padmé Amidala and bonus anniversary Luke Skywalker in his X-wing pilot suit on a detachable display stand. LEGO® Star Wars™ construction toy features big engines, extending flaps, an open minifigure cockpit and a convenient play handle. Weapons include Luke Skywalker's blue Lightsaber and a blaster for Padmé. Also includes Luke's wrench accessory element. Padmé's wig element is new for April 2019. This classic building toy is a reinterpretation of the 7131 Anakin’s Podracer set from 1999 and makes a great LEGO® Star Wars™ gift for builders of any age. Pilot Luke Skywalker minifigure is a faithful representation of the original minifigure from 1999 and includes a 20th anniversary logo. Connect the LEGO® Star Wars™ 20th anniversary minifigure display stands for the perfect centerpiece. Play out exciting race scenes from Star Wars: The Phantom Menace and other scenes from the Star Wars saga. 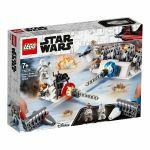 LEGO® Star Wars™ vehicle measures over 3” (10cm) high, 13” (35cm) long and 4” (12cm) wide. So why not buy the Anakin's Podracer™ – 20th Anniversary Edition set today ? Excellent service. Fast postage. Also quick to respond to enquirys. 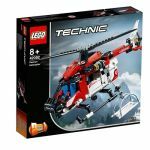 The only website I will be buying Lego from. Thank you, I am very happy with the stress-free service you have provided in sending me a Lego set I ordered. It arrived very quickly and in excellent condition. I'll be buying from you again and will definitely recommend you to my family and friends. 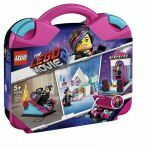 70833 LEGO® THE LEGO® MOVIE 2™ Lucy's Builder Box!